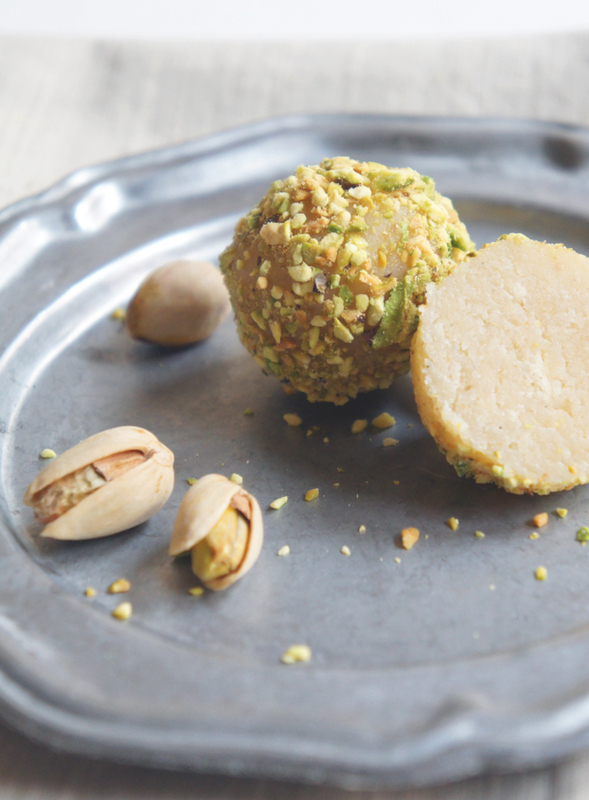 These lip-smacking Vanilla Bean Cake Truffles with Toasted Pistachios and white chocolate are so moist and full of vanilla beans, they make you want more! In a small saucepan, slightly toast the shelled pistachios. Set aside and let cool down. Melt the white chocolate and the cream over a double boiler. Pour melted chocolate mix over the cake crumbs and stir with a spoon. Knead the mixture with your hands until well combined and form 1 inch cake balls. Grind the pistachios in a food processor and place in a bowl. 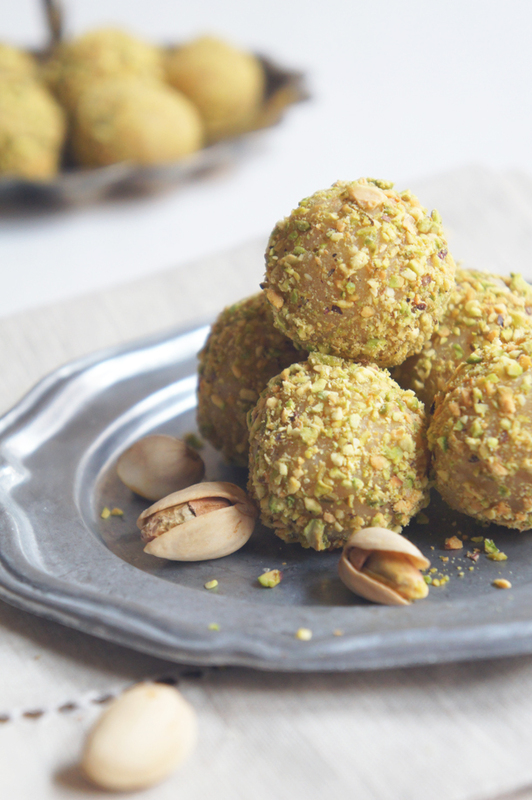 Wet the cake truffles a little bit with your hands, then roll them in the pistachios. This helps the pistachios to stick on your cake truffles. Tip: Store them at room temperature for up to a few days, they will get too hard when stored in the refrigerator. where is the recipe for the vanilla bean cake???? Wow these look incredible! I could eat 6 right now set or unset!